Glen afton is a small community New Cumnock, Ayrshire Scotland. 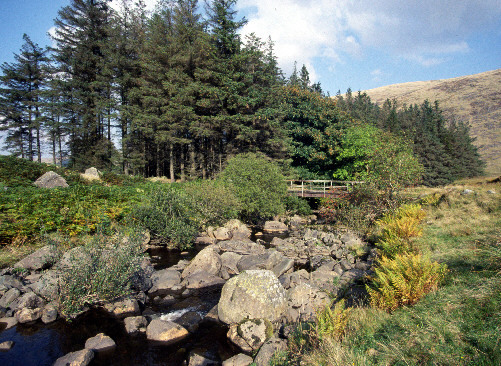 This picture shows part of the glen with the water trickling down through the glen. Popular with walkers who often start near the waterworks at the Afton Reservoir which is 5 miles south of New Cumnock, probably due to the fact that it has a reasonable car park for visitors. You have a choice of the various hills such as Alhang (642m), Alwhat (628m) or Blacklorg (681m). Any of which will provide you at somepoint with a view of the Monthraw Burn which this is a picture of.